It looks like the dust is finally starting to settle on Google's POLED PR nightmare. The Pixel 2 XL — one of the most hotly-anticipated phones of the year — has been plagued by screen issues and worries. While it is certainly not without its faults, Google has created several software fixes and is offering a 2-year warranty for screen burn-in, so we can rest a bit easier about purchasing Google's latest Pixel. Product chief Mario Queiroz jumped on Google's product forums to address the Pixel 2 XL's screen issues, then Seang Chau followed up with an even deeper explanation of the issue. When you combine the information provided in those two posts with everything we've learned from following this story for the last ten days, you get a pretty clear picture of Google's direction with the Pixel brand. 1. 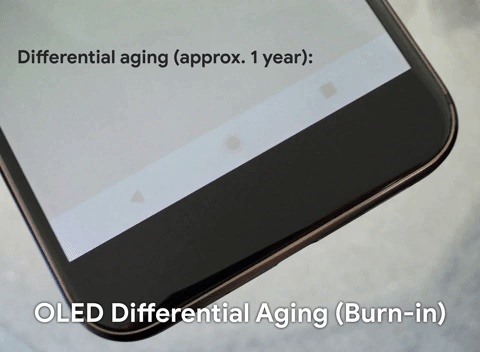 Burn-in Is Actually Called "Differential Aging"
This whole mess really kicked off when several reviewers noticed that the Pixel 2 XL's on-screen navigation buttons seemed to stick around when full-screen content was displayed. When the issue was first reported, it was referred to as screen burn-in, but we've since learned that it's more than likely just image retention. The difference between these two effects is negligible, but it boils down to the fact that image retention is only temporary, while burn-in is permanent. Either way, what happens is an element that was previously displayed on the screen is still faintly visible when something else is shown in its place. The Pixel 2 XL's image retention issue will resolve itself — all you have to do is wait a few minutes for the previously-displayed content to fully "dissolve." So it's not burn-in, but speaking of, Google's forum post on the subject introduced much of the world to a synonym for the OLED phenomenon: Differential Aging. It's funny how the proper name for something can be so much more fitting than its colloquial counterpart. You see, the most noticeable aspect to OLED burn-in isn't actually the "burned" pixels — it's the contrast between those pixels and the unburnt ones. The differential. Because Android's navigation bar has a black background most of the time, and because OLED simply turns off pixels to display black elements, the portion of the screen where the nav bar usually sits is "fresher" than the rest. Less aging occurred since these pixels weren't used as frequently as the other parts of the screen. The rest of the screen (with the exception of the status bar) displays various colors as you use your phone — from black to white and everything in between — so it ages at a well-rounded rate. However, since the navigation buttons are always white, all three red, green, and blue sub-pixels are fully engaged at all times, leading to more aging than any other portion of the screen. The end result: The pixels that make up the buttons age the fastest, the rest of the screen ages at an average rate, and the black navigation bar ages the slowest. Aside from burn-in, the next major complaint with the Pixel 2 XL's display has been that colors shift towards the blue end of the spectrum when the device is viewed at off-angles. We've long suspected this, but it's now all but confirmed that the issue stems from Google's puzzling decision to use a circular polarizing filter on their flagship to prevent issues when viewing the screen with polarized sunglasses. Stop and think about that one for a second. Would you rather be able to view your phone better while wearing a certain subset of sunglasses, or while using your phone indoors? Perplexingly, Google chose the former scenario, and that means that the Pixel 2 XL is a little on the blue side when you're not looking at it directly. To support this sunglass-polarizer theory, allow me to present exhibit A: Youtuber Mike Barrett captured a video of the iPhone 7 Plus, the Pixel 2 XL, and the first-gen Pixel using a camera with a polarizing lens filter, and the results are pretty clear. This polarizing filter doesn't work the same way polarized sunglasses would, so it's almost in reverse — where the Pixel 2 XL goes black or blue at certain angles, the others don't. This is because the lens uses a circular polarizer just like the new Pixel, whereas sunglasses have vertically-oriented polarizers to block road glare. 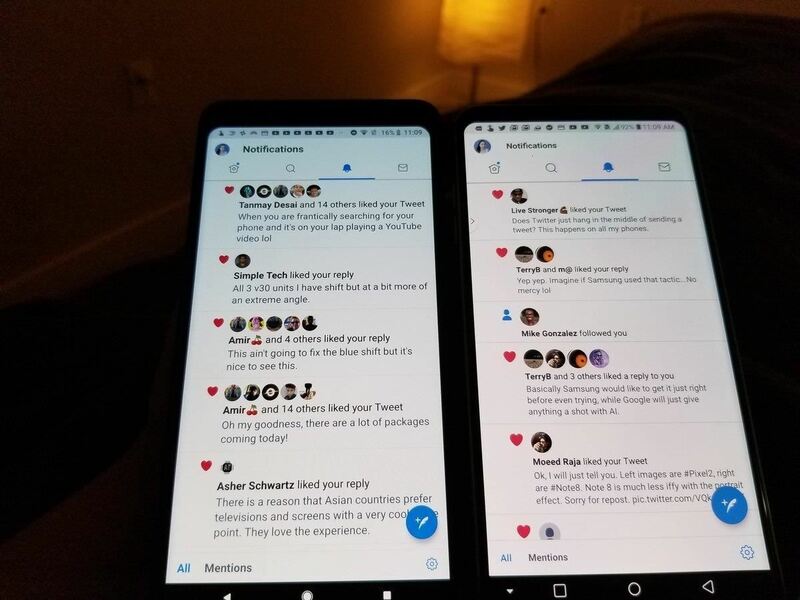 Next, we have exhibit B: Erica Griffin's tweet shows off the Pixel 2 XL and the LG V30 side-by-side. Many suspect that these phones are using the exact same POLED display panel, but the LG V30 doesn't have nearly as much of the blue shift effect. If the screens are the same, then it has to be something in between the screen and our eyes that's causing the blue shift, and aside from Gorilla Glass, that could only be one thing: A different polarizing filter. The last common complaint with the Pixel 2 XL's display has been drab or dull colors. This is definitely not a hardware defect, because we've already seen a pretty awesome app that fixes the issue with software. Honestly, this has been the most noticeable issue with our own Pixel 2 XL, but again, it's not really a "problem" in the traditional sense. This is simply a product of the Pixel 2 shipping with the latest Android version. Starting with Android 8.0 Oreo for the Pixel 2 models (and Android 8.1 for other devices), Google has given Android a default color space: sRGB. This was done to make colors consistent across all Android devices, as there was no predefined color space before the change. Previously, if an app developer wanted to showcase a logo or element with pixel-perfect coloring, it simply wasn't possible. 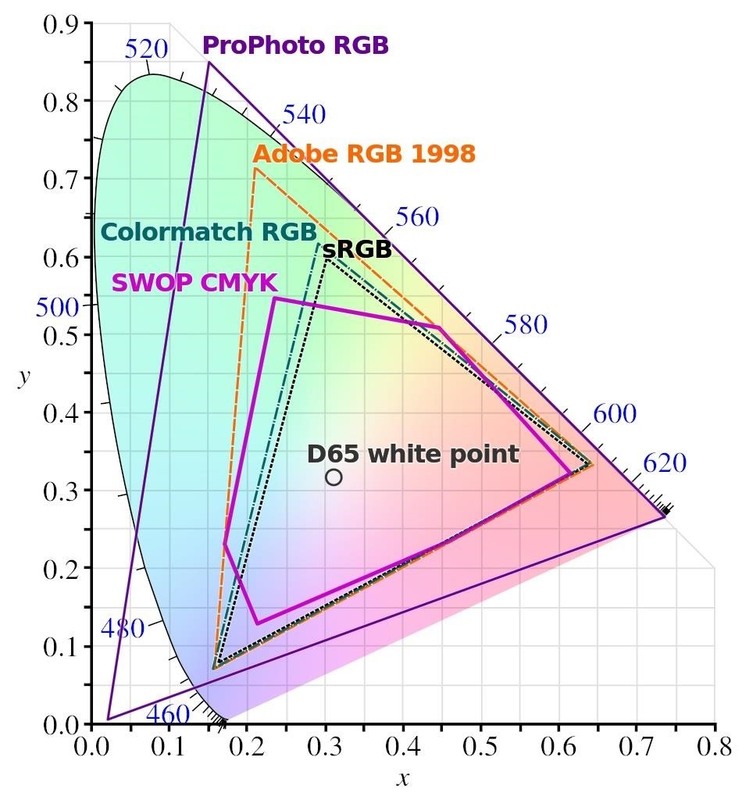 Now, all apps will render in the drab, but well-defined sRGB color space by default, though developers can update their apps to request that the system uses a more varied color space like DCI-P3. Apple made this move back in iOS 10, so Google almost had to follow suit to keep Android's colors as accurate as their main competitor's. In other words, we'll just have to suffer through drab colors for the time being, though Google has stated that they'll be issuing a firmware update with a setting to make colors more vibrant on the Pixel 2 XL. More on that next. If you're a Pixel fan, then software takes at least a slight priority over hardware in your book. That outlook is certainly not wrong, and it's even getting vindicated by Google's recent actions: They're fixing most of these issues with software updates. Take the dull colors as an example. Google has stated that a firmware update for the second-generation Pixels will roll out within the next two weeks to provide an option that makes the display more saturated. They're sticking to their sRGB guns to ensure consistent colors, but soon you'll be able to toggle a setting if you prefer the more vivid (but less accurate) colors of Android versions past. Amazingly, they're even addressing the burn-in issues with an inventive software fix. If you read the Differential Aging section above, you know that the biggest problem here is when contrasting colors like pure white and stark black are directly adjacent to each other in static UI elements. 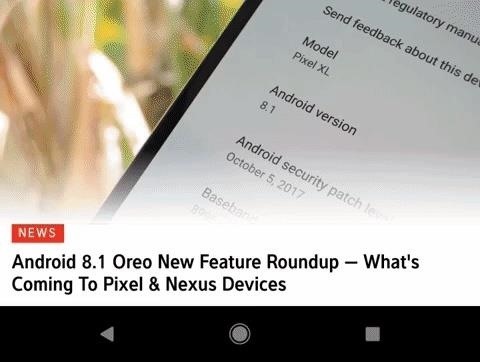 Starting with Android 8.1, that won't happen anymore. Where possible, Google has made the navigation bar background white so that portion of the display will age similarly to other pixels. If there's a menu that has a white nav bar with black buttons for every screen that has a black nav bar and white buttons, the two will effectively cancel each other out. Taking things a step further, the buttons themselves will no longer be pure white at all times. When you unlock your phone or move between apps, they'll be as bright as ever — but after a few seconds in any given app, the buttons will fade to semi-transparent. These two measures should go a long way towards preventing burn-in on any Android device with an OLED screen. Those software tweaks aren't particularly newsworthy by themselves, but the speed with which Google acted certainly is. When you look back on issues like the Nexus 5X's bootloop problem or the Nexus 6P's early shutdown issue, you'll notice a central theme: Google did their best to stay mum on the topics while just hoping their problems got swept under a rug. With these Pixel issues, we're seeing a whole different Google. One who comes up with crafty software solutions, pushes them out at Apple-like speeds, and tackles PR situations head-on. They even went so far as to extend the Pixel 2 XL's warranty to a full two years, and it even covers minor defects like screen burn-in — that's almost unprecedented in this day and age. Think about all of the people that will be sending their Pixels back every few months at the first sign of true differential aging. If Google has to send back a device with a brand new display every time, LG's will have to work out the kinks in their POLED manufacturing line in a hurry. That's not even mentioning how much money Google will be losing by ordering all of those replacement screens. But it appears that Google doesn't really care about profits for the time being — right now, they're content hemorrhaging money, as long as it helps ensure that the Pixel brand eventually becomes a household name. With products like Google Home and Chromecast, Google's hell-bent on getting its services into every aspect of our lives, and the Pixel brand is central to that strategy. Isn't there a typo in the caption for Exhibit B? Isn't the Pixel 2 XL the phone on the left? At least that's how my Pixel 2 XL looks. In fact, it's this weird half blue half white tint on this very long phone that makes it very distracting. If it was all just a uniform blue tint, it would not be as bad. Still bad. But not this bad. Now when I'm typing, I have a blue tin on the bottom of my keyboard. The top of the keyboard is almost white and the top half of the phone is fully white. I can't really see this getting fixed in software. So chances are that I'm going to have to return this otherwise excellent phone. The color gamut I have absolutely no issue with. I had enabled sRGB on my Nexus 6P and the OG Pixel XL since I found the Reds and Oranges unnatural. So on the Pixel 2 XL, the muted colors look right too me.